TL;DR: Google is making its ML offerings more accessible and developer-friendly. 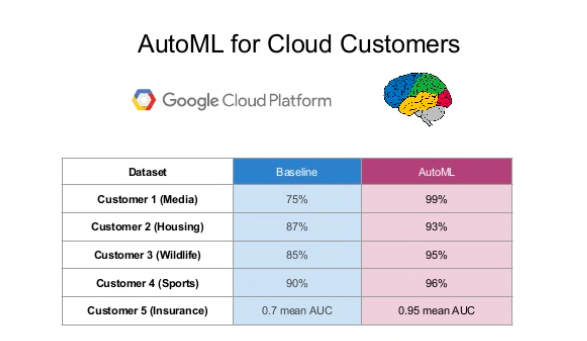 Thanks to AutoML on G Cloud (and other machine learning platforms), big players like Google are taking huge steps towards popularizing and automating ML. In his presentation “TensorFlow, Deep Learning, and Modern Convolutional Neural Nets, Without a PhD,” Martin Görner demonstrated how a software engineer could build an object recognition Convolutional Neural Network without having an extensive academic background. Specifically, Görner showed how, under the open research environment in machine learning, anyone with basic university-level mathematics (given fair effort) can learn on their own and eventually understand the latest and greatest in ML research. But with the release of AutoML, Google is going one step further in making ML immediately accessible to a much larger audience of software engineers. No math required. Machine learning creates a paradigm shift from traditional rule-based programming. Instead of programming logic as rules, a developer can declaratively supply data and labels to a machine learning model for the computer to learn the rules itself. Of course, the challenge comes with the need to design good learning models, and Google has made good progress on automating that step with AutoML. AutoML is based on the result of a research paper put forth by Google called “Neural Architecture Search With Reinforcement Learning.” With reinforcement learning, neural architecture search (NAS) tries to find the optimal network architecture suited for a particular dataset. For those interested, this post gives both a great overview and the latest research results in NAS. The architecture found by NAS on a small dataset can be applied on similar larger ones via transfer learning. The end result is the automation of network architecture design that can perform as well as, if not better than, state-of-the-art networks designed by top researchers. Whether solving a typical business problem in computer vision, building intelligent user experiences, or hand crafting custom ML models, AutoML offers tremendous value. Backed by its solid performance and user-friendly design, AutoML greatly lowers the barrier to entry for many typical scenarios where ML might be applied. 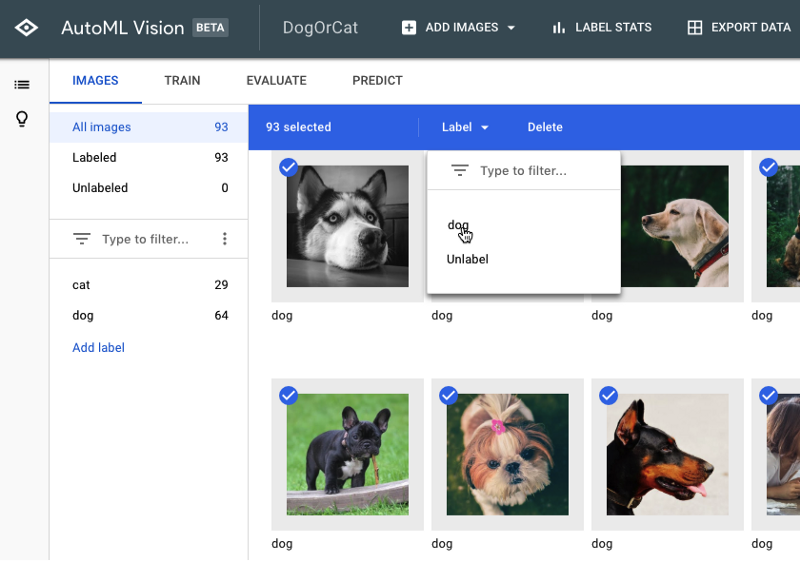 So far, Google has released AutoML Vision for image analysis, AutoML Natural Language for unstructured text analysis, and AutoML Translation for dynamic translation between languages. With AutoML vision, whether its binary classification or object recognition or anything in between, one only needs to upload a dozen or so sample images (or paragraphs of text) with labels onto a web portal to get started. AutoML equips businesses with the power of ML to solve certain types of traditionally difficult, high-value business problems without having to hire for expensive skill sets. 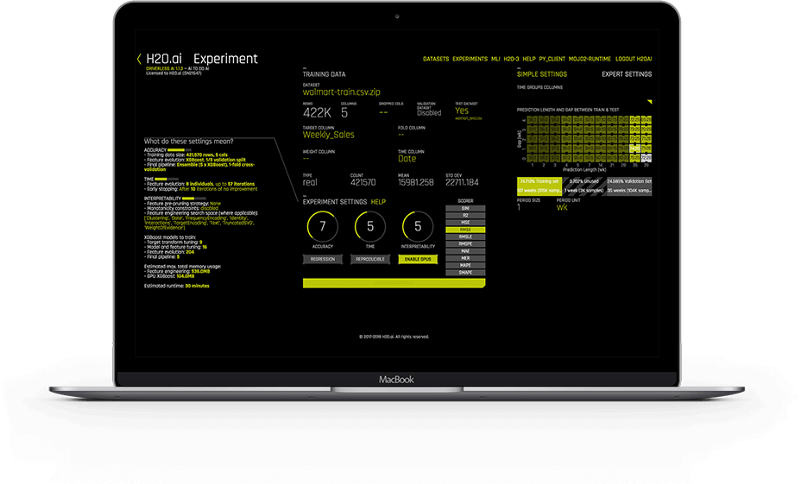 The astounding efficiency of AutoML can be extremely powerful to enable rapid, high-fidelity prototyping when building ML-enhanced user experiences. Instead of running a team of data scientists and spending months architecting and model tuning, product companies can now use AutoML to generate models that achieve near-optimal performances within as little as a few minutes. Combined with the ability to deploy quickly via REST API, product companies are now able to experiment with intelligent user experiences at a much faster pace and drive product innovation in exciting new angles. AutoML greatly lowers the barrier to entry for many typical scenarios where ML might be applied. AutoML can help data scientists establish a performance baseline/target when building custom models. According to companies presenting at Next (and others that we spoke to), AutoML currently does not outperform hand-constructed models in many cases in terms of accuracy. Yet there is evidence that AutoML Vision can achieve as much as 95% of the performance of the best performing model, and for organizations with data science teams working on tasks where performance is critical, having AutoML as a baseline benchmark helps give direction to model building and fine tuning. Google’s AutoML is not the only player in Neural Architecture Search and probably isn’t going to be cheapest. The open-source implementation of NAS, AutoKeras, promises to offer a similar feature set as a python package. It will be interesting to see how the performance and cost differs between different services/packages but I think we are going to see a lot more implementations of NAS as packages and services in the near future. The fact that Google created its own ML platform for developers is a signal that advanced ML platforms are getting ready for prime time. 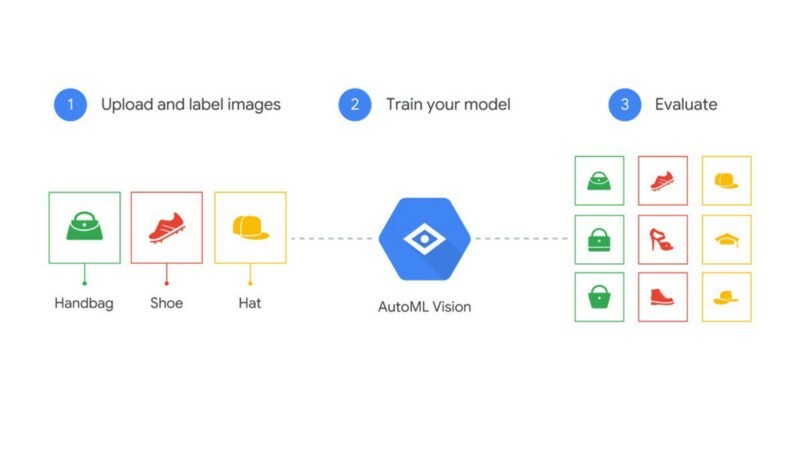 But whether it’s Google’s AutoML, AutoKeras, or similar platforms, the primary goal of allplatforms is to help engineers (and by extension organizations) leverage ML by providing assisted or even automated model building. They also address common pain points in production-grade machine learning projects by reducing human errors, implementing and enforcing best practices, providing smooth integration with existing data infra, and more. A major benefit of using an ML platform is being able to streamline the process of applying ML to solve similar business problems and greatly increase the output from your data science team. Almost all of the advanced ML platforms include automated statistical analysis and exploratory learning as basic features, but some of the platforms go even further. H2O’s Driverless AI, for example, offers automatic feature engineering, transformations, model building, and ML interpretation. Marketed as “Kaggle Grand Masters in a Box,” the platform was able to rank in the top 1% among all Kaggle competitors using out-of-the box functionality on certain datasets. Advanced ML platforms still have a long way to go before they are able to reliably automate ML in production, but they are an exciting advancement in making ML more accessible to software engineers. Advanced ML platforms like Google’s AutoML and H2O’s Driverless AI are bridging the gap between cutting-edge ML research and engineering solutions for real-world problems. These platforms do so by incorporating the latest research results and making them readily available via high-level abstractions. We are truly excited by the opportunities they bring and cannot wait to build a smarter world powered by ML. Given streamlined and automated model building, training, and deployment, problem solvers can now focus on data collection and transformation (“data engineering”), activities which are central to solving real-world problems with ML. Stay tuned for our upcoming Next ’18 post on data engineering and ML operational best practices.